This is the 18th year in which the United States Department of Agriculture has put its stamp of approval on Farmers’ Markets; it has supported local producers by encouraging families to meet, and buy from, the farmers and other vendors at their local Farmers’ Market. 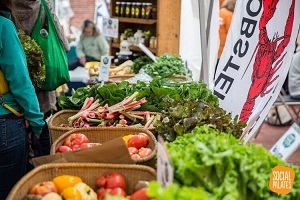 There will be accompanying celebrations as thousands of U.S. Farmers’ Markets will highlight the range of produce, fruit, meat, dairy and specialty products available from their local and regional farmers. As we have said in previous blogs, buying directly from farmers and ag-entrepreneurs has a significant regional impact by helping to diversify farm incomes while at same time supporting neighborhood businesses by keeping more money in the local economy. 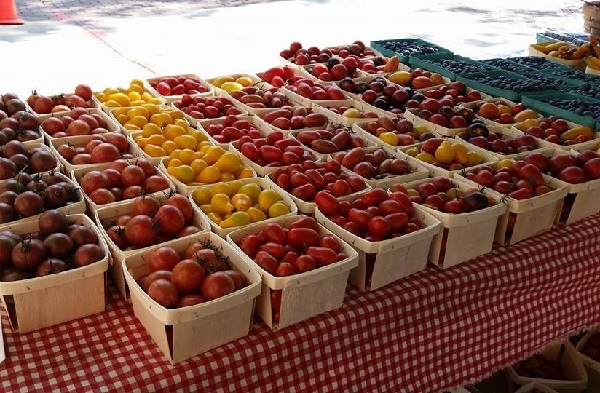 In addition to being good for the farmers and convenient for consumers, Farmers’ Markets prove every week to be a gathering place that helps build a sense of community. When you walk across Derby Sq. this Thursday at the Salem Farmers’ Market, besides looking at the fruit, veggies, breads, lobster, etc. also look at the people. You and they are enjoying the afternoon doing the same thing that other people are doing across the USA: having fun, looking for bargains, buying healthy food alternatives, and talking to each other. Not one, but two winter holiday markets take place this weekend in Salem and they are easily within walking distance of each other so you can see it all and bring home the best in crafts and foods. Salem Main Streets is pleased to announce the return of the Salem Winter Market!! 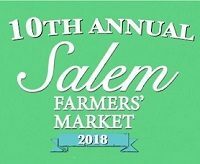 A seasonal extension of the Salem Farmers’ Market, this year’s final Salem Winter Market will take place Saturday, December 17th­, from 1-5 pm inside the Museum Place Mall (1 Church Street). A diversity of local vendors will be present at the Salem Winter Market this season. 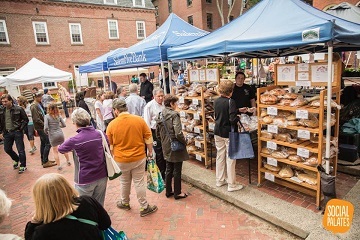 Patrons can expect to find an assortment of foods and artisan crafts including locally-caught lobster, dried fruit and nuts, chowder, baked goods (including vegan and dairy-free options), wreaths, handmade soaps, spices, honey, pickles, gourmet ravioli, almond butter, eggs, jewelry, and various produce. In addition, both Santa and The Grinch will be stopping by throughout this Saturday’s event to spread cheer and grumpiness (respectively). 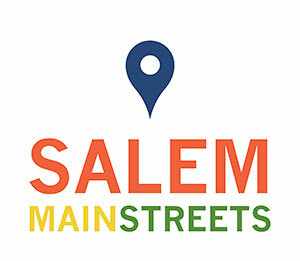 The Salem Farmers’ Market and Winter Market are organized by Salem Main Streets, thanks to the support of the City of Salem and Mayor Kimberley Driscoll, the Salem Chamber of Commerce, Destination Salem, and many other local business sponsors and community volunteers. For further information regarding current vendors and Winter Market updates, refer to the Market’s website, Facebook, and Twitter pages, or contact Kylie Sullivan directly. But that’s not all folks. You say you want more? Look no farther than across the road to Old Town Hall. 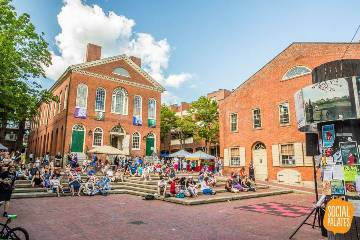 Where you will discover this weekend The Salem Holiday Market! This has become a much-anticipated annual indie craft show, featuring over 90 of the best local and regional designers and artists from all over New England. The Salem Holiday Market will be presented by New England Open Markets, from noon-6pm on Saturday and Sunday, December 17th and 18th. 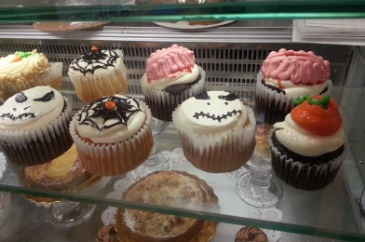 For a look at the vendors’ list and pictures of their wares, check out their website. 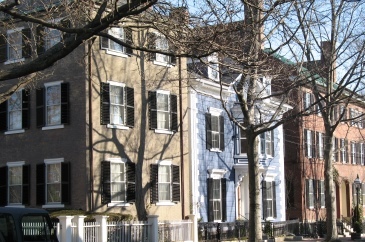 Then mix in the Salem Holiday Market and no matter the weather this weekend, you have a real good chance at a very rewarding walk or drive to Salem. You definitely will come away with your hands full of good bargains, good food, and good gifts!